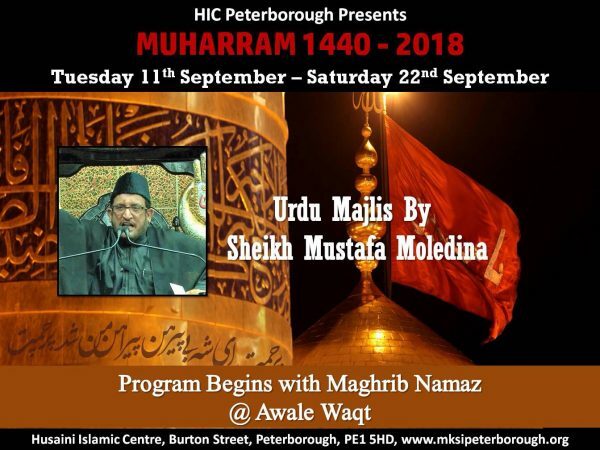 Majlis will be recited by Mavlana Syed Muhammad Sibtain Kazmi Saheeb. 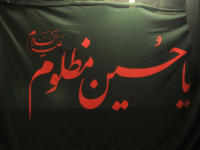 Momeeneen are requested to attend in numbers to give Pursa to our beloved Bibi Fatema A.S. 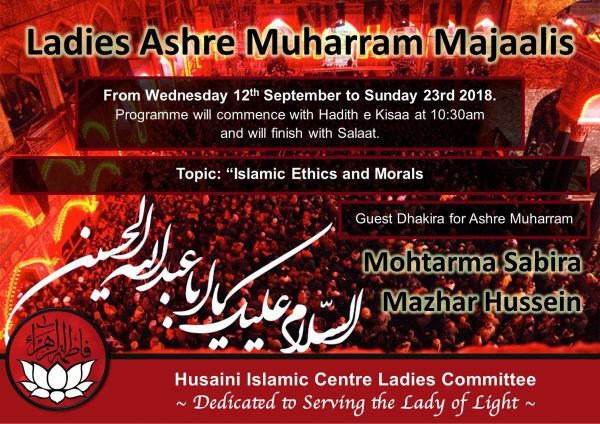 Following the above, the regular Muharram programmes will include Majlis for Ladies in the Mornings, and English and Urdu Majlises in the evening. 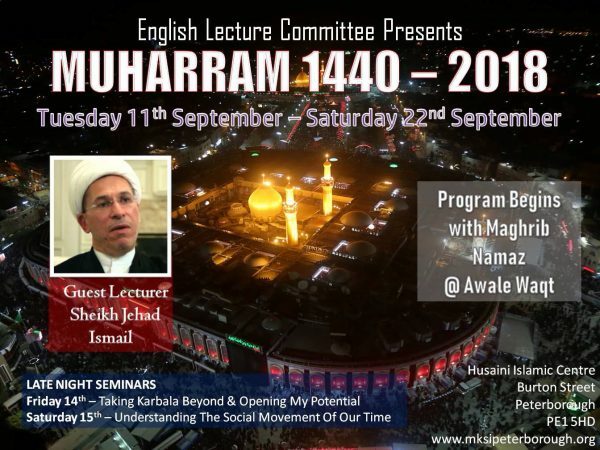 Please see below posters for further information.